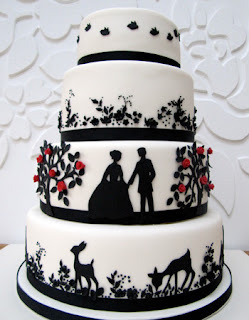 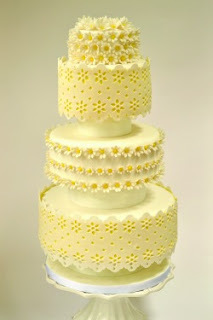 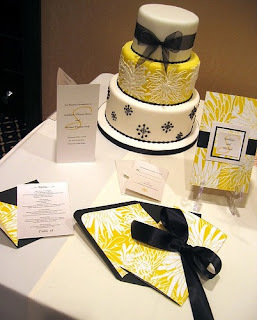 Inspiration for today = black and yellow wedding cakes. 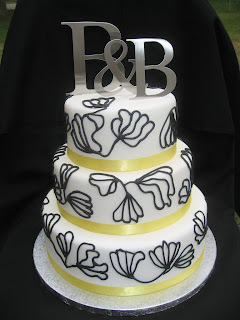 Lovely square four tier cake in white with black pattern and yellow spidermums. 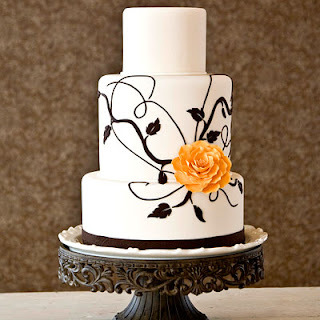 A beautiful and elegant round wedding cake in white decorated with black and gold ribbon, yellow roses and pearls. 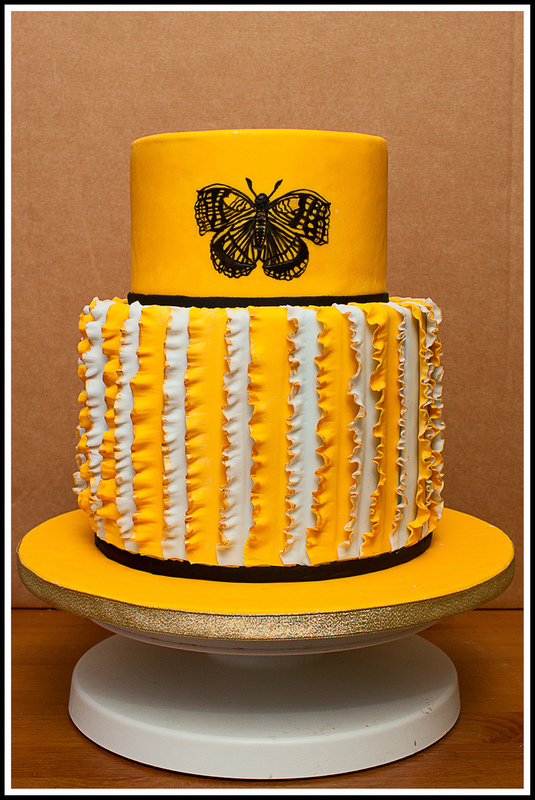 Bright yellow cake with yellow and white ruffles and delicate black butterfly set over two tiers. 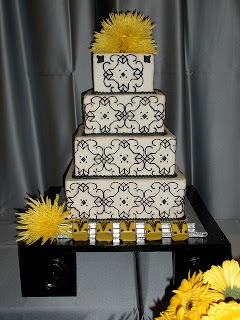 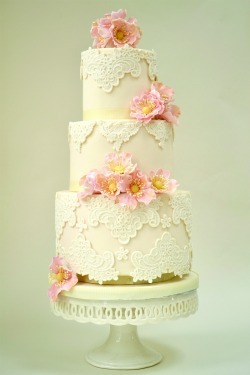 Chic three tier cake with a single yellow flower from which a black floral design explodes. 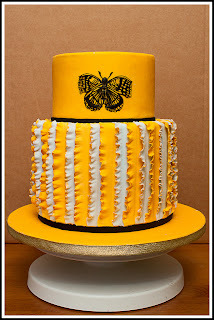 Interesting and unique cake in white, yellow and black. 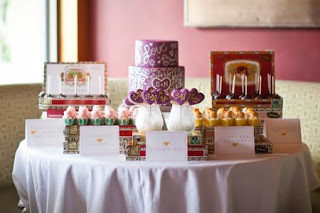 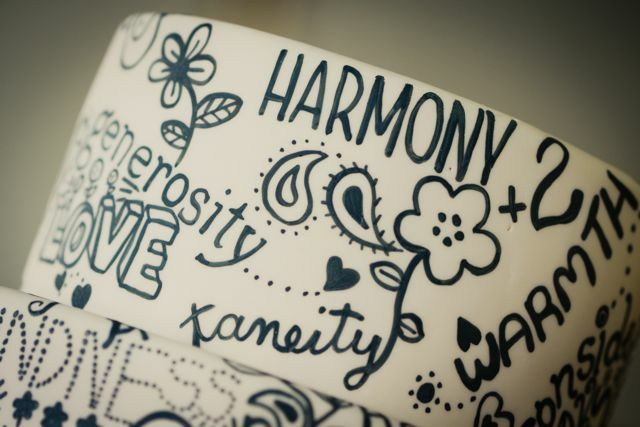 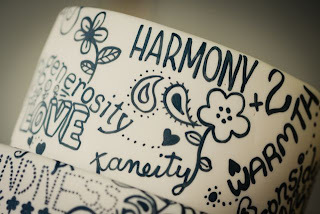 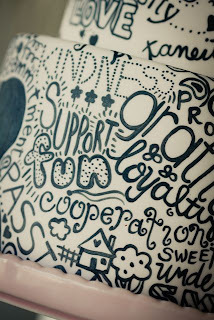 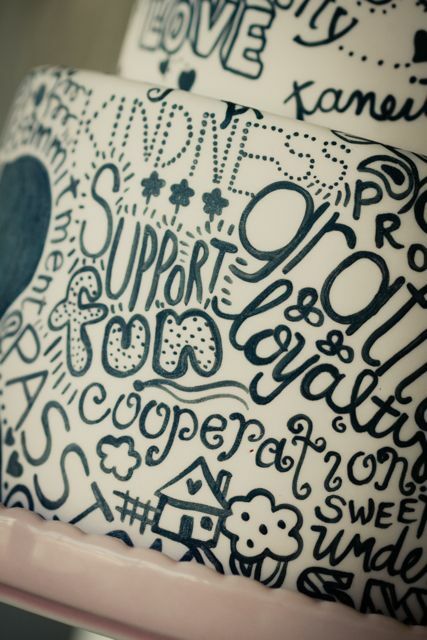 Each tier a different design. 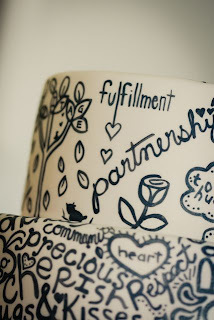 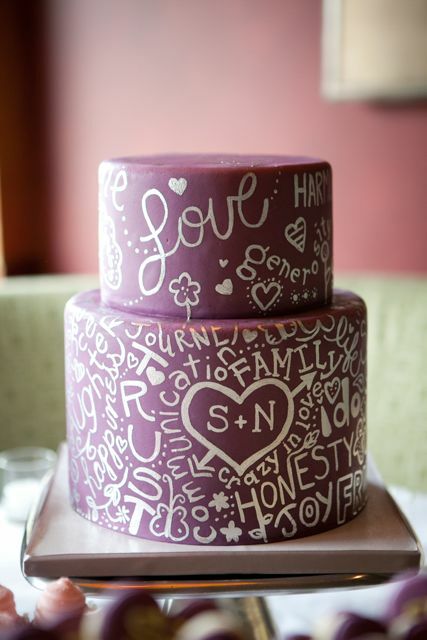 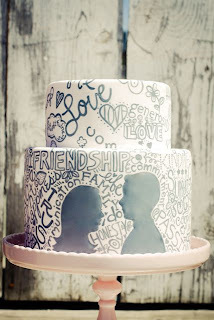 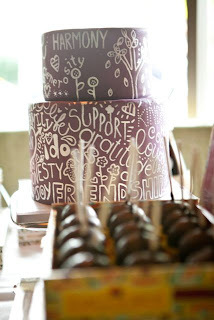 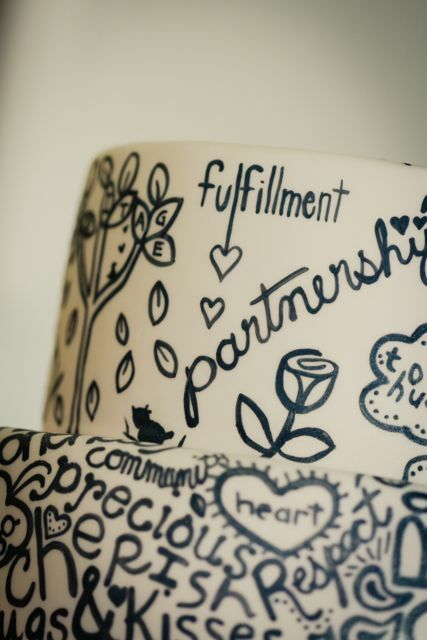 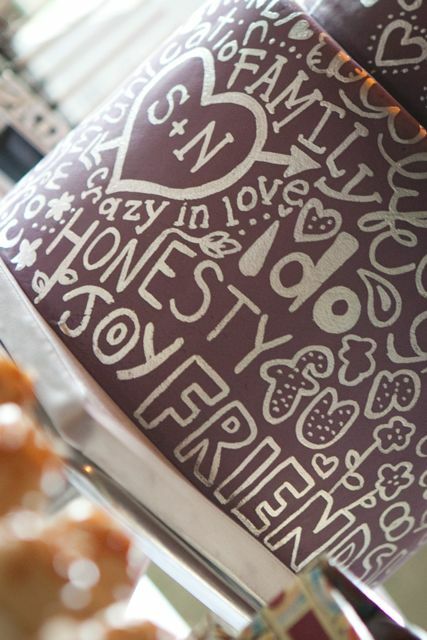 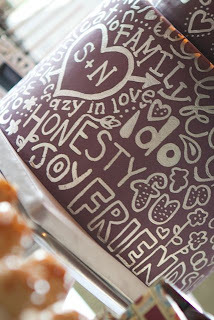 Stunning unique print on this three tier wedding cake. 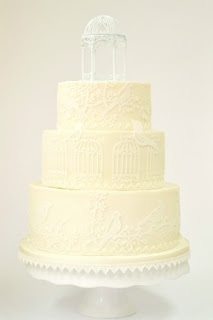 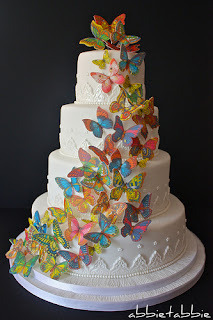 The wedding cake theme for this post is white wedding cakes with a rainbow of butterflies cascading down the cake tiers! Wedding cake with colorful butterflies in flight! 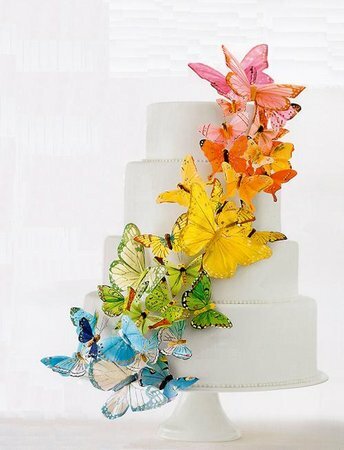 A colorful rainbow of butterflies cascading down four white round tiers. 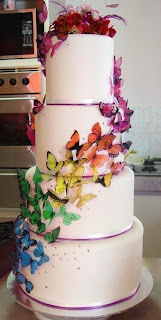 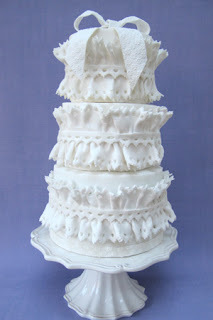 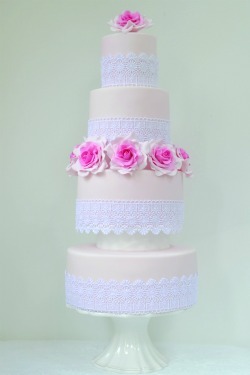 A beautiful butterfly wedding cake cascade! Stunning multicolored butterflies adorn this wedding cake! 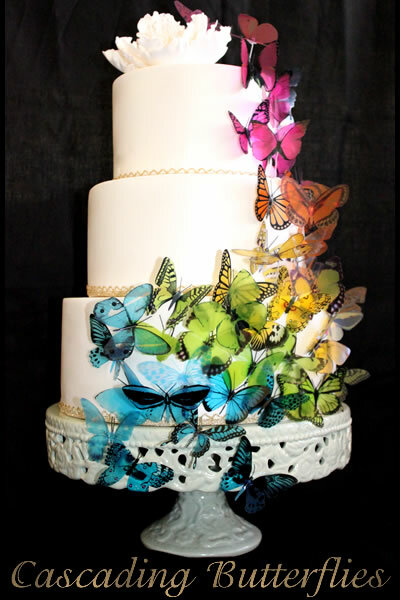 A tall white and round cake with colorful little butterflies streaming down! A colorful cascade of butterflies over three round tiers. 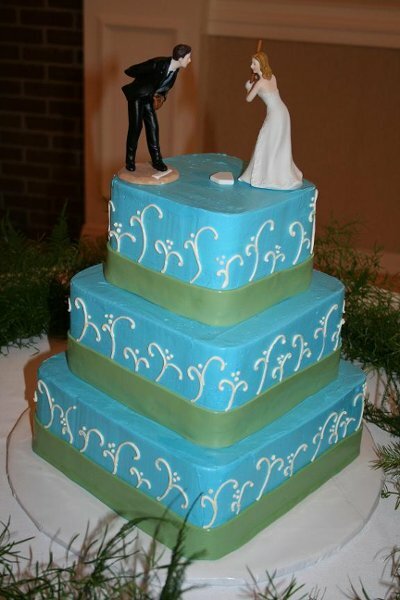 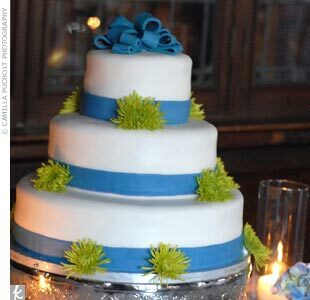 Today we are going to look at wedding cakes that feature the colors blue and green in them. 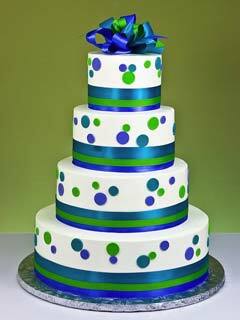 Let's begin with this gorgeous round four tier cake with blue and green polka dots and bright blue and green ribbon. Blue and green bubble design over four round tiers. 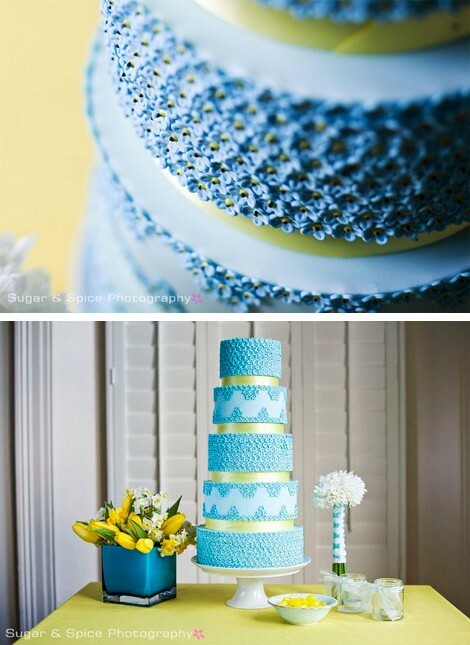 Tiers of peaches and cream, chocolate with raspberry filling, & apricot-lemon chiffon with vanilla whipped cream and apricot filling in this stunning cake with cascading blue dyed roses! 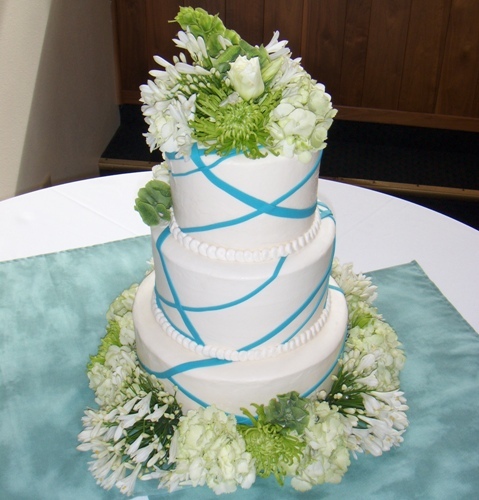 A round three tier cake in white with blue fondant bow topper and lovely green spidermums. A small round wedding cake with blue lines and green flowers including spidermums! A completely blue covered square cake set over three tiers with some green accents. Love the baseball wedding cake topper, so cute! 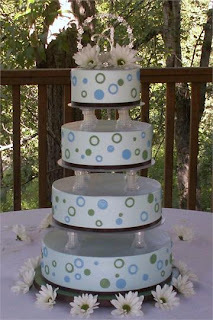 Modern four tier round wedding cake in white with green and blue lines and tiny fondant bows! 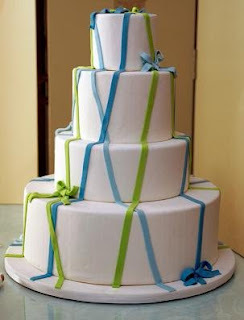 Stunning grand 5 tier wedding cake in blue and green. 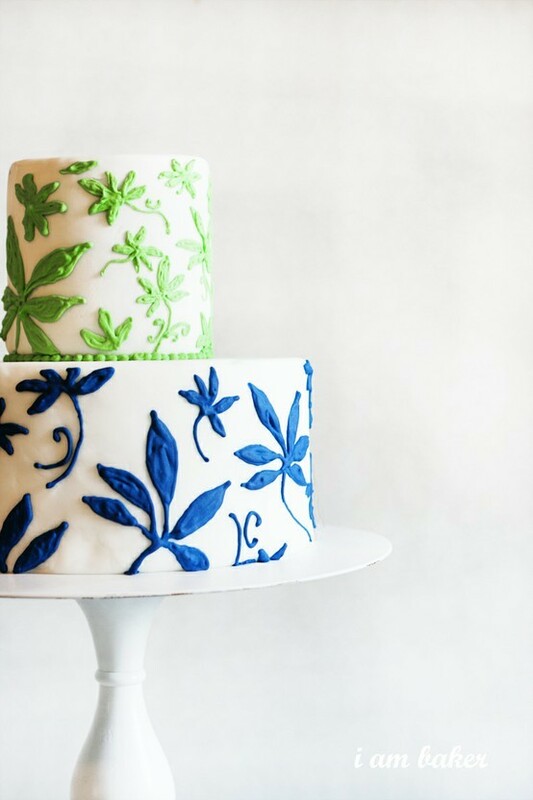 A two tier white, green and blue wedding cake with botanical print created by i am baker.